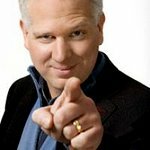 Fox News Channel personality Glenn Beck raised the most from auctions hosted on CharityFolks.com in 2010, bringing in more than $1,000,000 for the Special Operations Warrior Foundation, CharityFolks.com reports. 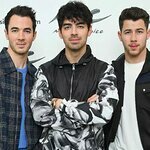 Other celebrities topping the list include Lady Gaga, Jonas Brothers, Billy Baldwin, Graydon Carter and the cast members of the hit show Glee, who collectively raised money for multiple causes, ranging from safe drinking water initiatives to programs that help at-risk youth. Shopping for sports fans? Check out the opportunity to throw the first pitch at a Red Sox game and get a private tour of Fenway Park, sit behind home plate at a Yankees game and score Skybox Tickets to the Waste Management Phoenix Open. Looking for a gift for that talented someone who just needs a big break? Check out unique auditions available, the opportunity to cut a demo with music industry veteran Jim McGorman and or develop a TV show or film idea with Ted Chervin – Co-Head of Worldwide Television at ICM. Charity Folks is also in the business of dreams; one can email the Charity Folks Concierge Team at concierge@charityfolks.com with a dream request and Charity Folks will make it come true, and all while helping a great cause. Maybe it’s having lunch with your favorite actor, visiting a movie set, walking the red carpet or having VIP access at your next concert. No matter what it is, Charity Folks loves helping dreams come true while making the world a better place. Visit www.charityfolks.com to view all the great lots up for grabs.